SAT NAV! REVERSE CAM! HEATED SEATS! FULL SERV HISTORY! 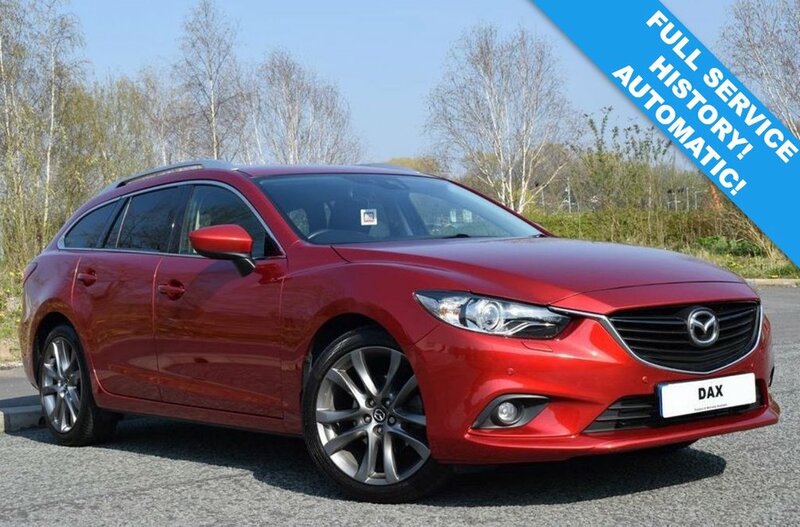 We Are Delighted to Offer This Superb Mazda 6 2.2 D 175 Sport Tourer Auto Presented in Metallic Velocity Red With Contrasting Black Leather Interior and Backed Up By a Superb 7 Stamp Full Service History With 6 Mazda Services and 2 Keys! The Car Has Just 1 Previous Owner From New and is a Stunning Looking Estate Car With a Fantastic Specification. Mazda Build Quality Shines Through, The Car is in Superb Order Both Visually and Mechanically and Drives Fantastically Well With a Superb Automatic Gearbox. A Full 12 Months MOT Is Supplied On Order For the New Owner Offering maximum Peace of Mind in This Fantastic Estate Car. SPECIFICATION INCLUDES: SAT NAV, REVERSE CAMERA, BLACK LEATHER INTERIOR, CRUISE CONTROL, HEATED SEATS, CLIMATE CONTROL, PRIVACY GLASS, BLUETOOTH, 19 INCH GREY ALLOYS AND MORE!